Your rear derailleur is a technological marvel. First invented in 1906, it was clunky, unpopular and had two speeds. They’ve come a long way since. 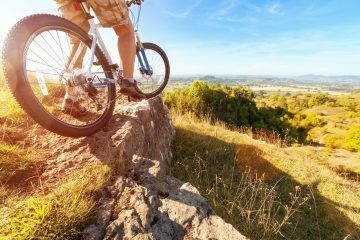 The best mountain bike derailleurs today are durable, easy to tune and can shift smoothly even under load. You should buy a new derailleur for the same reason the first one was invented: Because you want to climb better. Inventor Paul de Vivie, a writer known as Vélocio, designed it for Alpine bike riding. He became a cyclomaniac, quit trading silk and moved to Saint-Étienne to open a bike shop. He advocated for his now-ubiquitous device for 30 years before it became popular. Like Vélocio, one of our goals at The Adventure Junkies is help you pick your gear. This guide will help you find the perfect derailleur, whether you want to conquer the Alps, win Strava segments or just get climb a little quicker. Unless you’re buying new shifters, you’re likely limited to what you had before. Most shifters work with a specific rear cassette size — usually 9, 10, 11 or 12. If you buy a 9-speed derailleur and mate it to your 12-speed shifter, you’ll probably end up breaking it or a spoke by over-shifting. 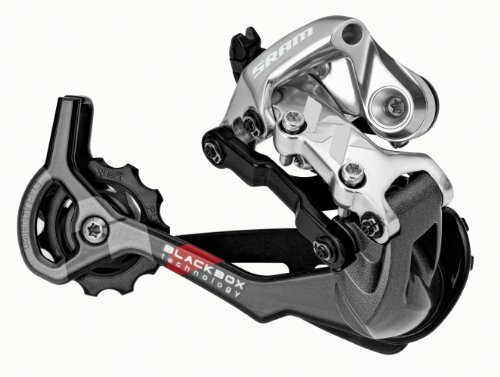 If you’re looking for a new shifter, too, your options are open, and you probably want to go with an 11 or 12-speed derailleur. This is the modern standard, and it’s ubiquitous in bike shops and easy to buy cassettes, chains and cables for. This 2013 blog from Performance Bike is slightly dated, but worth reading. They accurately predicted the transition from 9- and 10-speed to 11. The biggest change since then? Virtually every wheel comes designed for 11- and 12-speed cassettes. 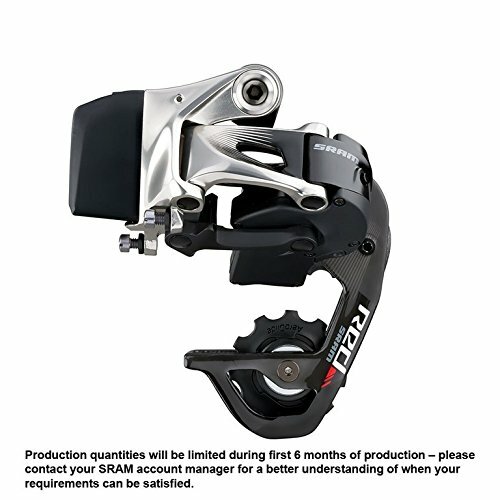 You’ll need to use a usually included adapter if you want to stick with a 9-speed derailleur. 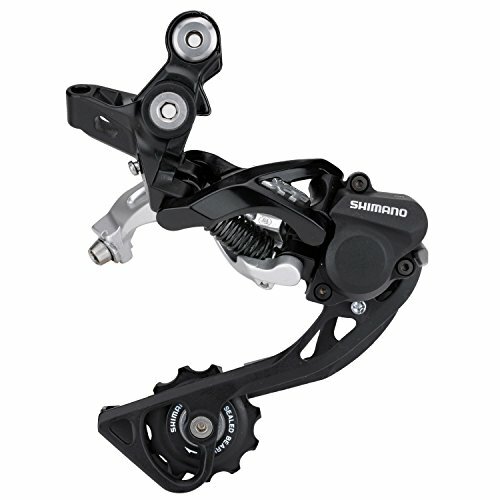 Both Shimano and SRAM have released electronic derailleurs that work with electronic shifting. If you’re upgrading to this, it’s a whole re-build as you’ll need compatible brakes, shifters and a front derailleur. 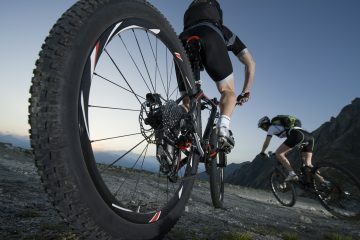 The innovation of faster, more precise shifting came to road bikes first and now appears on mountain bikes as well. Cycling Weekly breaks down the benefits and makes an argument that all riders can appreciate the upgrade, but I’d note that price is a big barrier to entry. If you’re happy with mechanical shifting, then don’t make the switch yet. This equipment starts at around $1,200. The compatibility issue will limit your options unless you’re doing a full rebuild of the drive train. Front derailleur, shifters and cassette all must match. 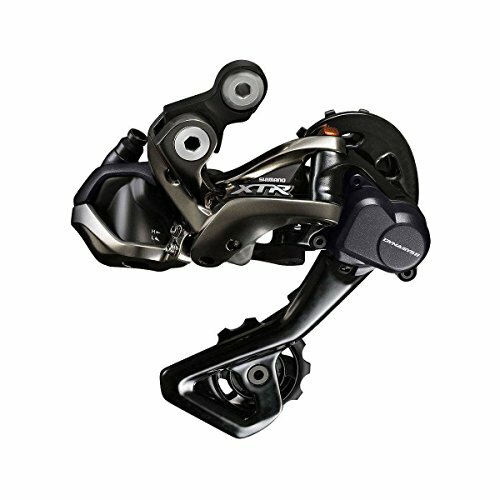 Some rear derailleurs can be thrown on with a wider range, but most are very specific. Shifting uses fairly old technology, but it’s incredibly precise. Make sure that you’re buying a rear derailleur from the same company, and usually even the same line of that brand. Each of the derailleurs we chose has its compatible partner listed on the shop pages we’ve linked to. If considering a full overhaul, see our guide on mountain bike shifters to help get the best shifter for your new setup. Most derailleurs come in your choice of three cage lengths: short, medium, or long. Short cage lengths are great for single front chainrings, medium for doubles, and long for triples. UK retailer Wiggle has a detailed breakdown on cage lengths and clutch technology, something I’ll explain in the next section. If you’re looking to buy a new front derailleur and crankset, we have a guide to cranksets to help you make your selection. SRAM devotees describe their shifting as slightly snappier to explain their preference, but it’s very subjective. Go with your favorite, or just stick with what’s already on the bike. Remember that you can’t mix and match, so if you go from one to the other, you’ll need to replace the shifters and front derailleur, too. Campagnolo is a third option for roadies, but they don’t make many components suitable for mountain bikers. The closest they come is in their cyclocross offerings. 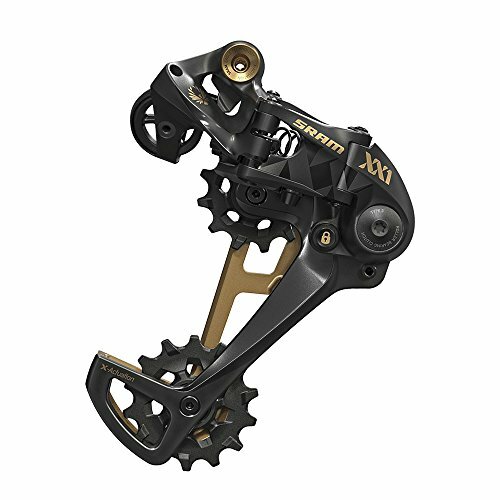 We’ve included a derailleur from a small company, Box, which is compatible with Shimano. Derailleurs can be used with index or friction shifters, so this choice won’t limit you. It’s all in how you set it up. If you’re buying a new derailleur, it’s probably time for a new rear cassette, too. Check out this helpful calculator to plan the perfect ratio. It considers wheel size, cranks, front chainring, and rear cassette, to show you how many useful options you have. How much does weight matter? It depends on the rider. Some people will think nothing of paying hundreds to shave off a few grams; others never even look at the weight. If you’re racing, we’ve highlighted the lightest of the bunch. 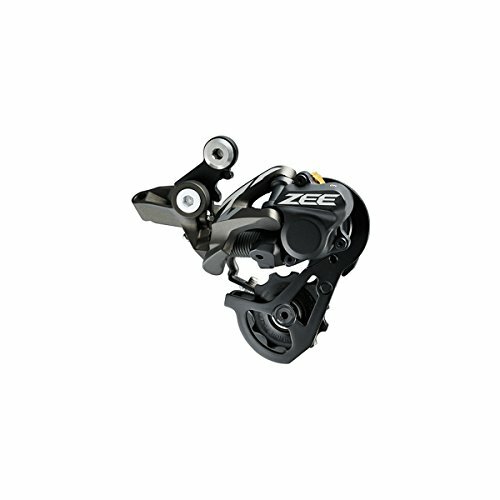 For general riders, all of the rear derailleurs we’ve picked should be good as well. Different companies have different reputations for tuning and adjustment difficulty. Shimano is said to be slightly easier to tune and adjust. Box is even easier. This shouldn’t have a lot of practical implications for your ride, but it’s part of why some people prefer Shimano. 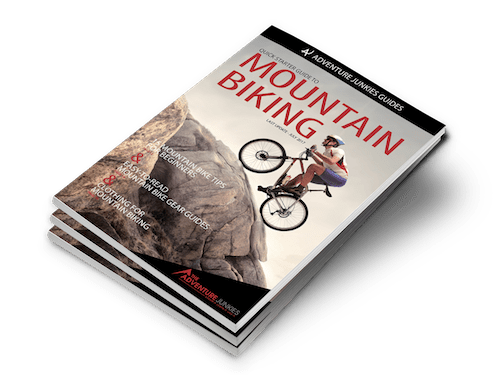 Whichever you get, make sure to include it in your routine maintenance, covered in our mountain bike maintenance article. 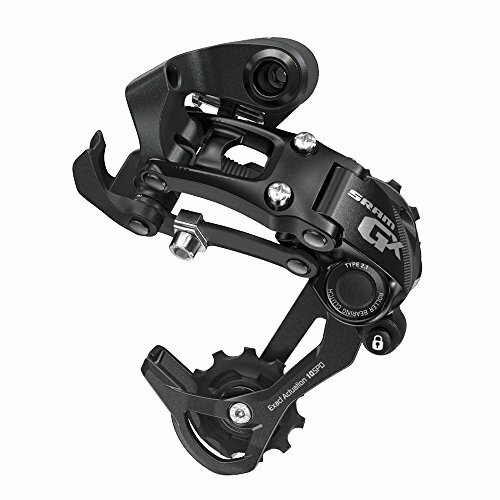 Clutches are an innovation in mountain bike derailleurs which keep the chain on the gears even over bumps and jumps. Typically, quick changes in weighting and force can cause the chain to go slack, which makes noise and may result in a dropped chain. The clutch aims to solve this problem by keeping appropriate tension on the chain at all times. Every manufacturer has their own system. 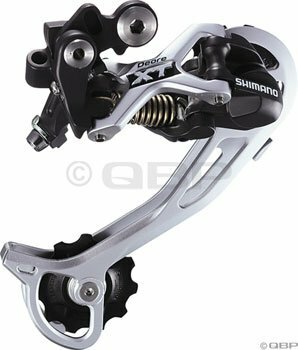 SRAM has Type-2 and Type-3, and Shimano has Shadow Plus. When the technology debuted, they were somewhat unreliable and could make wheel changes difficult; they’ve since gotten easier to adjust and come with locking features for easy wheel removal. 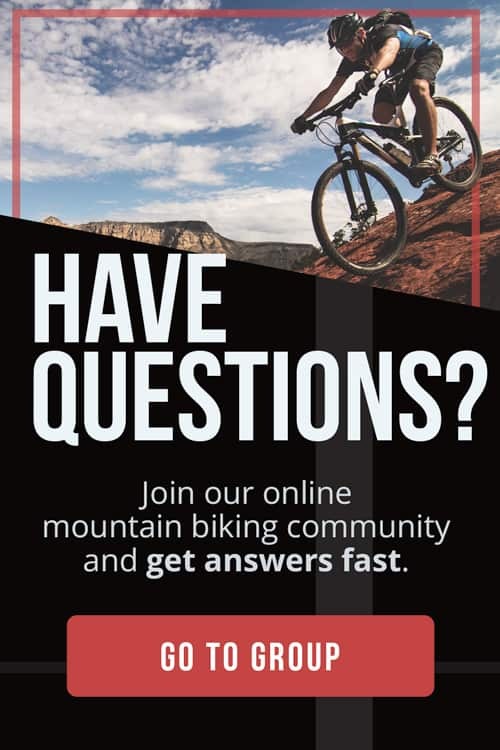 They are quickly becoming mainstream for all mountain bikes.